After finishing Training Essentials for Ultrarunning: How To train Smarter, Race Faster, and Maximize Your Ultramarathon Performance by Jason Koop with Jim Rutberg (VeloPress 2016), I'd like to share the following 10 key points from the notes I wrote down for myself while reading. Structured training leads to better results than simply running more. There's generally too much focus on volume in ultrarunning. Superlong runs are very hard on the body and take a lot of time to recover from. Still, developing your cardiovascular engine is important. The workouts necessary for best cardio fitness may seem quite simple and boring, but these methods will make you confident and prepared for success. Extreme gimmicks may seem to work for a while before fading out. 2. Train with focused specificity. The limiting factor isn't your physical capacity to run fast. Most races have generous cutoffs. You can develop specific parts of your physiology through increasingly focused specificity and intensity during different parts of the year. Start with the broadest aspects of training like aerobic endurance. Do the most event-specific things last. Each race has its unique nuances and preparing for them is important. Ultrarunning is a thinking sport. Your mind is your greatest weapon. Use it skilfully and wisely. The circumstances may seem to conspire against you. You have to think your way through the challenges. You must get over the obstacles while feeling miserable. In ultrarunning there's a lot of time for plans to go awry, but also a lot of time to right the ship. You need to train your brain as much as your body. Everyone faces tough moments in ultramarathons. It's guaranteed that you'll have to dig in deep. 4. Train with a purpose. You need a deeply personal reason that drives you forward. It doesn't have to be world-changing. You simply need to know why you are doing all this when the going gets tough. Or who knows, you might even have fun occasionally. Just have a purpose to keep you going. As you get fitter, a bigger and more concentrated training stimulus is required. But you also need to rest. Running yourself into the ground won't improve your race time. Recovery is an important part of training. Find the right balance between work and rest. You are likely to spend much more time going uphill than downhill, so you can most dramatically improve your race during the ascents. Lactate threshold work yields the greatest improvements for the amount of effort you put toward it in training. Preparing for the climbing (and also descending) in your event is a high priority throughout your training. Climbing becomes even more important as your race draws near. Train on the actual race course or find a local trail that best mimics it. 7. Train with emotional engagement. A large part of success is your emotional engagement with the particular event you choose. Always begin with finding the events you genuinely care most and then build your physical tools around that event - not the other way around. You should be interested in the community and other aspects surrounding the event, not solely your own performance on race day. Pick the races you are passionate about. Your ultrarunning training needs to be specific to the demands of the event you are training for. Cross training can improve the quality of your life, but won't directly improve your ultrarunning. 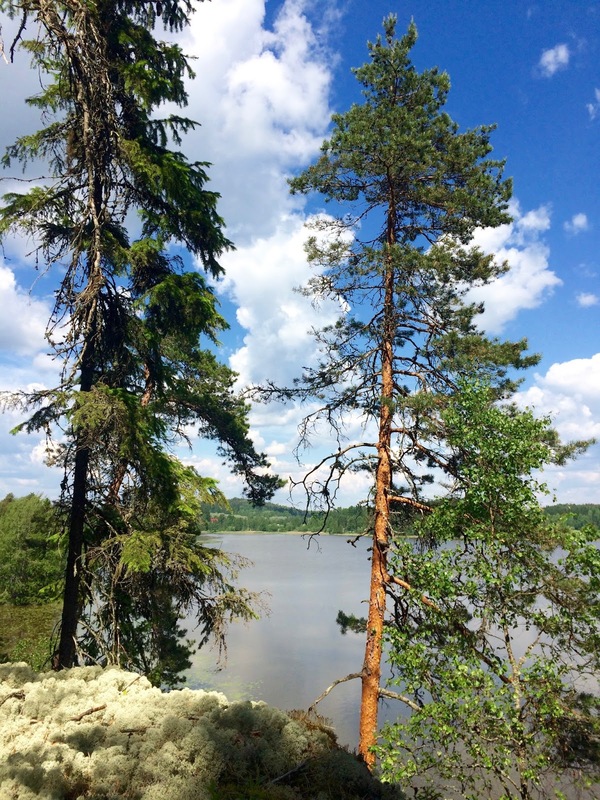 Hiking can be beneficial if your race strategy requires it. Other non-running activities may make you a better overall athlete, but you should not do them at the expense of your running. 9. Train by perceived exertion. For various reasons heart rate is not a good training tool for ultrarunning. Your brain is the only training tool yet that can determine the correct interval and racing intensities for an ultrarunner. You can gauge intensity and workload by perceived exertion. It's the only accurate information you have available. It also happens to be the only information you need. And it's the ultimate in simplicity. 10. Train with a high-carbohydrate diet. Forget fat adaptation. Although you can become more fat-adapted and burn more fat, you will arrive at the race with less fitness due to reduced training workload. It's better to eat a high-carbohydrate diet, burn less fat, complete higher workloads in training, and arrive at the race with greater fitness. High-carb diet will deliver energy quicker to working muscles, make you run faster, and help you go farther. The choice is easy. 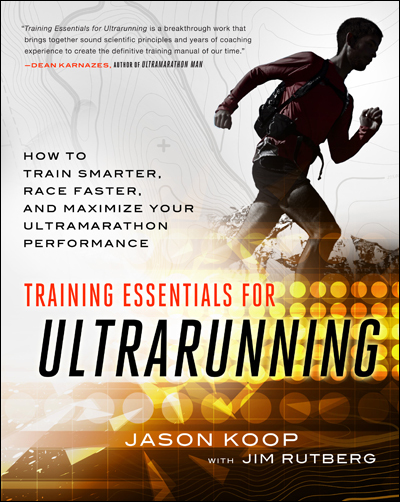 I fully agree with Dean 'Ultramarathon Man' Karnazes, who writes in Foreword: "Training Essentials for Ultrarunning is a breakthrough work that brings together sound scientific principles and years of coaching experience to create the definitive training manual of our time." I believe this book will help you achieve your goal, whether it's simply winning or just finishing with a smile. I surely finished this winner book with a smile, as I'll be now able to use all this information to better prepare for my future races. Highly recommended. very nice and concise review of the book! From my – albeit limited – experience I can only agree. Especially on the high-carb diet. I have tried a high protein approach this spring but it just would not work for me. In fact I felt more depleted than after depletion workouts! Hence I am now literally following my gut and feel much better. I have to admit that I returned the book after thoroughly skimming it. For various reasons – mostly available quality time with my boys – my recent move to swim-bike-run is a better fit than training for an ultra. I may be wrong but my gut – and my body – is taking this change very positively. I will even cancel the Chiemgauer 100, a decision that wasn't easy but it just doesn't fit in our summer holidays. Sigh. In any case I really enjoy following your training and keep being a great source of inspiration – keep it up! Hi Paul, nice to see someone follows my blog :) Glad to hear you like triathlon - just wait until you do your first ironman before final decision LOL! Like Mr Koop writes, you should always follow your heart when choosing sports, events, or anything actually. Let me tell you a little story, which takes a minute to read, but may save decades of mistakes. When I started my athletic career in 80ies as a promising runner like you, I soon discovered triathlon. I was hooked. I did big ironmans like Roth, Kona, Lanzarote. Unfortunately I stuffed my face with the usual junk foods/drinks. I burned myself out in 5 years. I went to a sports doctor, who put me on a high-protein/low-carb diet. I became so fat-adapted, that I could easily run a 3-hour marathon without eating any carbs at all. I posted new marathon and ironman PRs. This was great, except my coach thought I should have been faster based on my physiological tests. Like Koop observes in this new book, I had become a fat-burning machine, but my race results were compromised. I'm now back on high-carb diet with a twist: it's 100% plant-based, meaning no more meat, seafood, dairy, eggs. It was a challenging lifestyle do-over, but after 5 years I can say that it seems to work well for my new vertical-minded ambitions. I'm going to have to write up some of my experiences in running, in the mountains and now the triathlon to figure out what works for me. Long story short: Swimming and cycling is a welcome addition to my endurance endeavours and clearly shows where I need to (and want to!) focus. The idea of wanting to learn how to swim first arose when I read Haruki Murakami's “Colorless Tsukuru Tazaki and His Years of Pilgrimage”. The way Murakami describes one of Tsukuru's friends' swim technique—effortless, elegant, light as a butterfly, a meditation rather than a sport—sounded exactly like what I was looking for in swimming and in fact in *all* endurance activities. Ha ha, I guess all training consists merely of fun activities for me, but life's too short not to jump in the deep end first - a month from getting my first road bike I did my first half-ironman, and a month from that my first full-ironman, and the following year I crossed the finish line in Kona! If you want to learn to swim like a fish, check out Total Immersion videos and books, they might be helpful in finding the right balance in the water, which is key. Of course pull-buoys and wetsuits help as well. 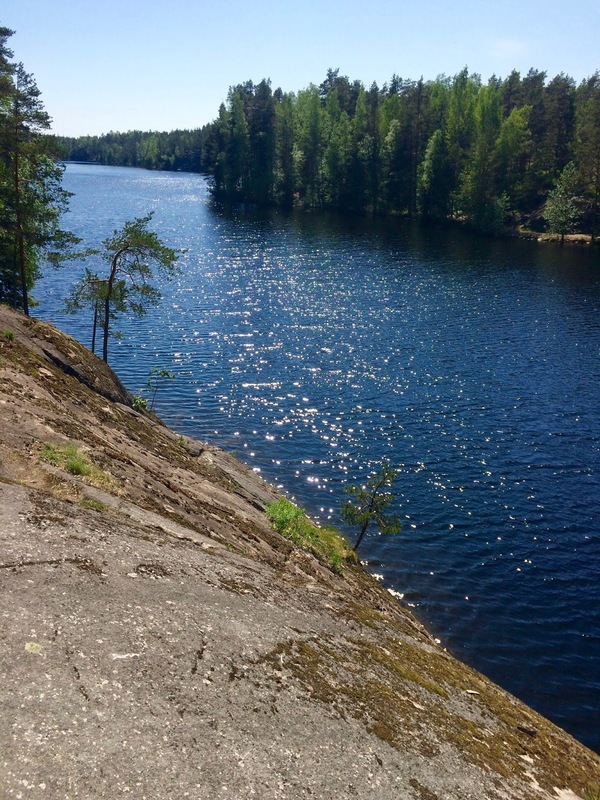 When you learn to glide in the water it's possible to swim 3800m in about an hour without feeling tired at all. I'll check the Total Immersion material!